L'Oréal's latest foundation is Matte Morphose. They call this soufflé foundation, which is supposed to represent a texture that is lighter than mousse foundations - to me it feels the same. It's also supposed to help create poreless look with a new marketing ingredient Mati-Crystal, a translucent gel that absorbs shine but also enables light to pass through. Supposed to give 12 hrs matte yet luminous finish. 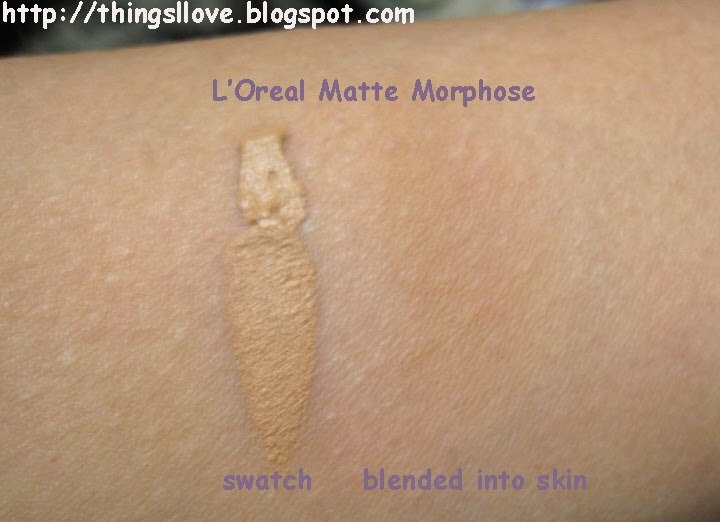 I would say it provides a slightly dewy finish but doesn't quite last the 12 hours stated. It was good for about 8 hrs on my normal/combo skin. feels soft and lightweight on skin and gives a silky velvety texture. 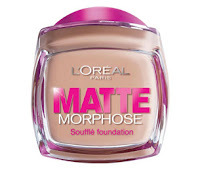 acts as a primer and foundation with its volatile oils spheres that helps to stabilise the foundation on application. The soufflé texture have a balling up feeling before melting and then blending into skin, something that I don't dig. I found it hard to spread with fingers even though it is supposed to melt on finger, buffer brushes seem to work better with this product. gave small smoothing and pore erasing effect for me. It did not accentuate it either. light coverage which can isn't too buildable. It provides inadequate coverage for those us with more problems than just skintone unevenness. limited colour range - only 6 colours are available in Australia but they are forgiving colours due to their sheerness and blends into skin and provides a decent colour match (slightly pink on my skin). jar packaging with screw top lid can become quite un-hygienic after use, pumps or tubes for me please. I prefer cream or liquid foundations which gives more coverage. Those blessed with naturally flawless skin will love its lightweight and silky texture and the primer & foundation-in-one formula.